The Twins played some good ball...they caught the Tigers and won their division. MY hats off to the Twins for winning their division. They faced the Bronx Bombers and had the chance to win a game...but couldn't. When you leave 17 runners left on base ( in 2 games they had 26 runners stranded on base total)...especially with the bases loaded, and the other team gets in 3 outs thats saying something. And overrunning the bases and getting tagged out didn't help the Twins that much either. The blown call was bad for the Twins but then again, they didn't score any runs with bases loaded. A Rod, gotta tip my hat to him....he is finally earning all that money they are paying him. Came through for the Yankees and got some monster hits!!! Next is the Angels...the regular season the Yankees split 5-5 wins with them. Since Atlanta is out, (I swear watching them play is like watching the baseball version of Invasion of the Body Snatchers) I'm going to go for the Angels. Can't resist the underdog. 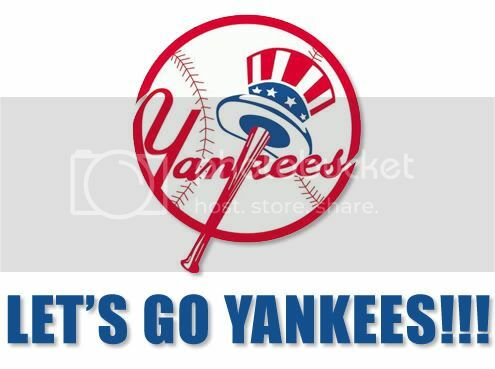 The Bronx Bombers are hitting and pitching really good right now. I'm stoked! One win away from going to the World Series. The universe is now back to normal...the Yanks are back! Yup, the NY Yankees are back for their 40th World Series. They have won it 26 times. I think the Phillies are going to take this one, although Philly teams are cursed. We shall wait and see. 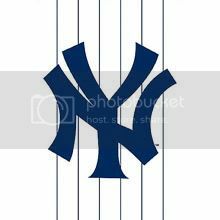 New York Yankees, 2009 World Series Champions!!! Domo arigato Godzilla!!!! #55 is World Series MVP!!!! Now, when people list the greatest Yankees of all time, Rivera has to be in the top 5 or so. It shortens the game for the other team, who must score in 7 or 8 innings, and puts pressure on them if they fall behind. He is otherworldly, and a cinch first ballot hall of famer. Well as I figured the Phillies are cursed. Matsui was great. He hasn't been an outfielder in over a year, but glad we got him as D.H. He was awesome against Pedro Martinez. Can't forget Andy Pettitte, he has the most post season wins of any pitcher. The Phillies played good. Chase was a hitting machine. But they needed more offense against the Yankees. Plus, solo homers aren't the answer...you need those R.B.I. 's to help win!!! The N.L. MVP, Ryan Howard stunk it up for the Phillies. He couldn't get any hits. And putting in Pedro Martinez for game 2 & 6, I thought wasn't the best call by Charlie Manuel. Cliff Lee was a monster. Great pitching from him. And the Angels...we needed to beat them. They have been a thorn in the Yankees side for the past decade. Like the Red Sox were a thorn in the Angels side for the past decade as well who the Angels finally got past as well. 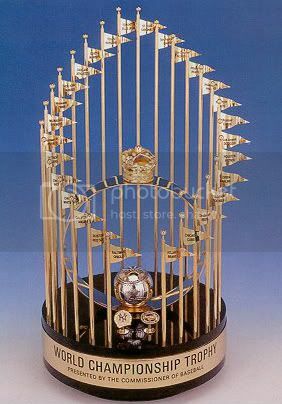 Its been a great season, The universe is now back in order as the Yankees have won their 27th World Series. See you next season! p.s. lets hope the umpires get replay, cause they made lots of crappy calls. Yankees bought their title lol. Guess the haters are out in force...at least the Yankees put all the haters in the fetal position once again sucking on thumbs and pacifiers crying about how the Yankees spend money. Last time I checked losers is that this is still a capitalist society. Owners can either pocket the money they earn or invest it in theirteam. The Steinbrenners invest in their team. I was only kidding I could care less about baseball. I love it when the haters post. Cry me a river....please. In Case of Yankee win...break open box immediately. If no box is close to you, use your sleeve.